CDF Runners are delighted to announce a new Couch to 5k programme starting in February 2018. After a successful programme in Spring 2016, we’re really glad to be able to offer the opportunity to more budding runners. All four graduates continued to run with us, and two of them have taken on the mantle of running our next Couch to 5k. This will run from February 5th – April 7th 2018. You will not need to run every session with us, but from experience, we recommend that you try to keep to the routine and use the group to help you complete every run. Ruth (L) and Liz (R) after completing a 24 hour race as a team. 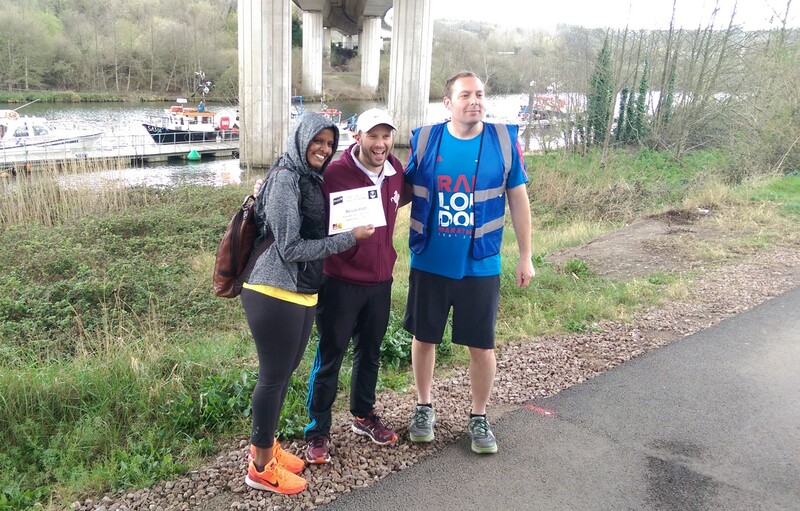 Liz and Ruth have become enthusiastic runners and familiar faces within the club, and they’re now looking forward to passing on all they’ve learnt to new runners. 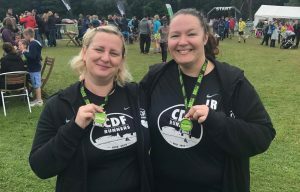 They’ll be joined by Amy to form the core of the support team for the C25K runners, and they will be joined as needed by a host of other willing volunteers over the 9 week process. We will be following the full NHS endorsed Couch to 5k programme which requires three sessions a week and builds up running at a steady rate. If you’re interested in signing up, please visit our dedicated Facebook page, or email us. There’s no obligation at this stage and we’d be very happy to answer any of your questions.  I started running with CDF Runners on February 1st 2016. I knew the group from a friend of mine who is a fast runner. I used to play basketball in the past and since I came Cardiff in 2013, I have started my Masters studies and I have not done any kind of exercise. I gained weight, felt depressed and I think that was a sign of homesickness as lots of students experience when they study abroad. 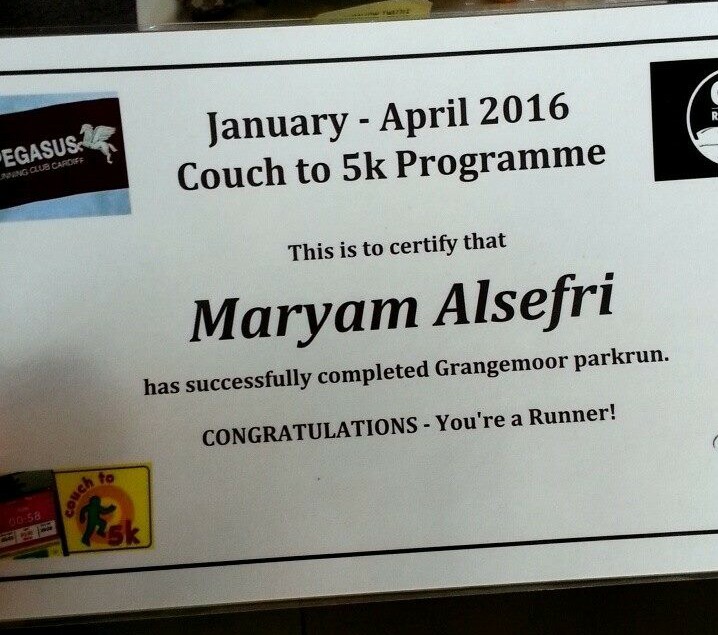 Anyway, after 3 years of not doing sports, I decided to join the CDF group Couch to 5k. My goal in the beginning was just to lose weight and be healthy, but with time I have seen many of the runners at the group the same age or older. I felt more motivated and I said to myself I can be a runner too! The atmosphere was very motivating, the coaches very supportive as they took my hand from 90 sec run to more than 40 min run without stopping. Within the group there were runners from all abilities, all ages and I saw them running three times a week and they improved. I really felt motivated to come to every session. When I look back 2 months ago, I couldn’t run more than 90 seconds and now I managed to finish 5k in 38:36. I’m so proud of myself! Now I’m looking forward to doing the half marathon in October. It’s a massive goal but, why not? Finally, I’m very thankful for everyone in CDF Runners who inspired me to be a runner by listening to their stories and by supporting me all the way through. 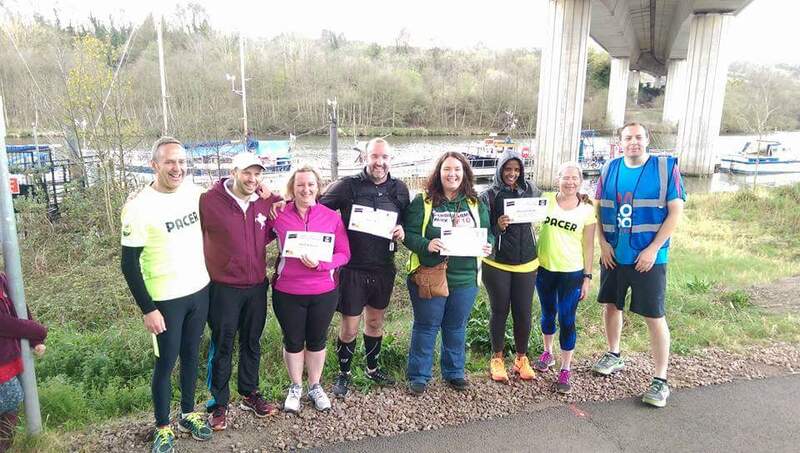 Couch to 5k is a guided and supported 9 week programme run by CDF Runners and Pegasus Running Club. To join us for the next round please visit our Facebook page or leave a comment below.